British unemployment is the lowest it has been in 42 years -- but many workers won't be celebrating. Unemployment fell slightly to 4.4% in the three months to June, according to official data published Wednesday. The jobless rate hasn't been that low since 1975. And the number of people in work is at a record high. The very low rate of unemployment rate is not translating into higher pay. Prices are still rising much faster than wages, meaning people's finances are being squeezed. The latest data show wages grew 2.1% year on year in the three months to June. Inflation was 2.6%. That means real incomes are down 0.5% compared to the same time last year. "The continued fall in real earnings will put further pressure on households and risks upsetting the resilience of the U.K. economy," said Yael Selfin, chief economist at KPMG U.K.
On its own, Britain's record high employment paints a rosy picture of the U.K. economy. But given the sharp slowdown in growth, the robust jobs market may prove to be a mirage. Worried about the uncertain outcome of the Brexit negotiations, companies are hiring more people, rather than spending on new technology and equipment. "Business investment is expensive so if they can get away with meeting extra work through more labor rather than splash out on investment in uncertain economic and political times, this could be a factor," said Howard Archer, chief economic adviser to the EY ITEM Club. That lack of investment could exacerbate an existing problem. British workers are becoming less efficient -- they lag way behind their counterparts in France, Germany and other developed economies. U.K. productivity fell for the second quarter in a row, official data showed. That means companies need to hire more people just to stand still, leaving less room for them to pay more. "Productivity has been falling throughout 2017 -- this matters as rising productivity is the only sustainable route to higher wages and better living standards," said Matthew Percival, head of employment at the Confederation of British Industry, which represents 190,000 businesses. Brexit could have another nasty side effect. The uncertainty surrounding the rights of EU citizens living in the U.K. is making the country less attractive to foreign workers. 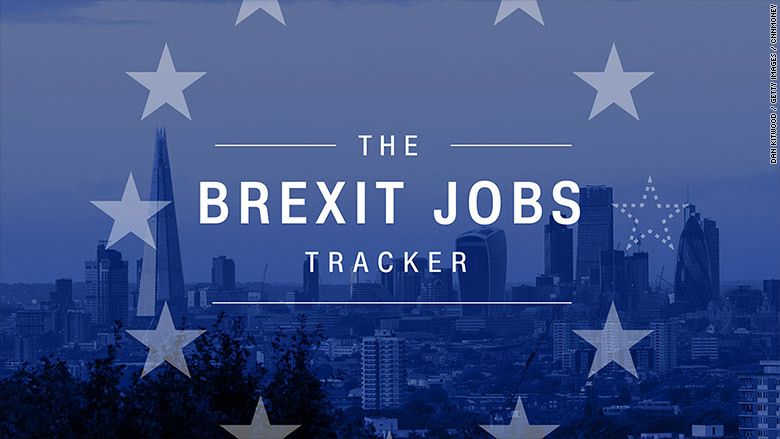 "The fall in net migration since the EU referendum has already put some pressure on the labor market as it heats up and this will intensify as the U.K. leaves the EU," Selfin said. Roughly 2.4 million EU-born workers are employed in the U.K. They play a vital role across the economy, from farming and construction to healthcare, financial services and technology. Industry organizations have urged the government to ensure employers will be able to keep hiring EU workers after Brexit. A report by the Recruitment and Employment Confederation showed the number of open permanent jobs grew at the fastest rate in 27 months in July, while the availability of both permanent and temporary workers fell sharply. Morgan McKinley, a financial services recruitment company, said last week that its data on the number of job seekers show the industry is "haemorrhaging talent because of Brexit."